Starting with Windows 10 Insider build 14926, you can now send and receive SMS text messages from the updated Skype Preview app on your Windows 10 PC and Windows 10 Mobile phone. 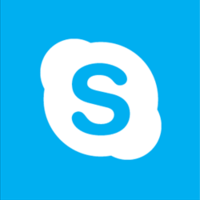 The SMS relay feature is part of this update, and allows users to send and receive SMS and MMS messages directly from a Windows 10 PC when Skype on your Windows 10 Mobile is set as the default messaging app. No need to reach for your phone, you can view new messages as they arrive and respond to messages from your computer. Send and receive texts, group messages, and photos all in one app with a single view of your SMS and Skype conversations. This tutorial will show you how to enable or disable SMS sync in the Skype app for your Windows 10 PC and Windows 10 Mobile phone to send and receive SMS text messages. You will need to be signed in with the same Microsoft account (MSA) on your Windows 10 PC and Windows 10 Mobile phone to be able sync and send and receive SMS text messages from the PC. 7. You will now be able to send and receive SMS text messages in the Skype Preview app directly on your Windows 10 PC by relaying with your Windows 10 Mobile phone. 3. You will no longer be able to send and receive SMS text messages in the Skype Preview app directly on this Windows 10 PC. This will prevent all Windows 10 PCs from being able to sync with Skype Preview on your Windows 10 Mobile phone to send and receive SMS text messages on the PCs. 5. Windows 10 PCs will no longer be able to sync with this Windows 10 Mobile phone to directly send and receive SMS text messages in the Skype Preview app. New Skype Preview is supposed to have some Android sync thing but doesn't work!